From the amazing Terra-cotta Warriors and the mausoleum of Qin Shi Huang to the large Han Yang Ling Mausoleum of Emperor Jindi of Han Dynasty and his Empress, from the local life of Xi’an citizens to Chinese traditional culture and arts, from street snacks to selected Xi’an local’s favorite dishes, in these two days exploration you’ll have a panoramic view of this imperial city of Xi’an on its glorious history, traditional culture, authentic food and the real life of the people that would never be discovered by a typical tourist. Make full use of your time to deeply discover all the top highlights and charm of the city in two days: from the world famous Terra-cotta Warriors to the Hanyang Mausoleum, from the large official Shaanxi Historical Museum to the featured private museum of Tangbo Art Museum, from the street snacks to the selected local dishes. Maximum your travel experience: Skip the lines as VIP guests, no tourist shopping, equipped with telescope and FM headset to make sure you can see and hear clearly. With our expert guide, you’ll discover the vivid stories and history behind the historical relics that few people have ever heard of. 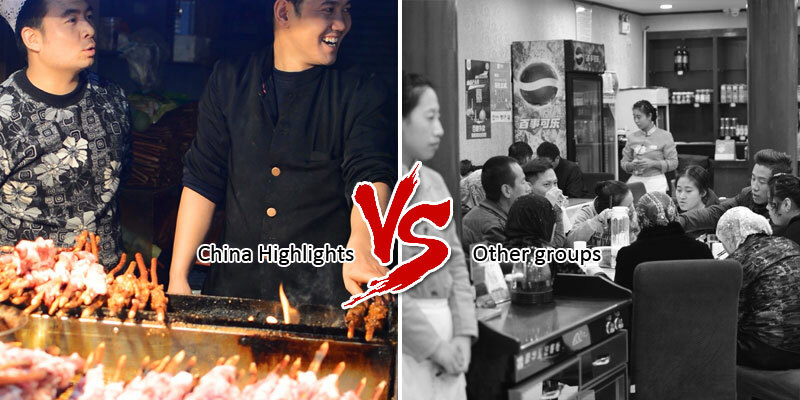 Visit Xi&apos;an Terra Cotta Warriors Museum and the Mausoleum of Qin Shi Huang in the morning, having lunch at a local restaurant and then walking, biking, or taking an Eco-Car to visit Xi&apos;an Ancient City Wall, visit the Most Famous Food Street of Xi&apos;an — Muslim Street. 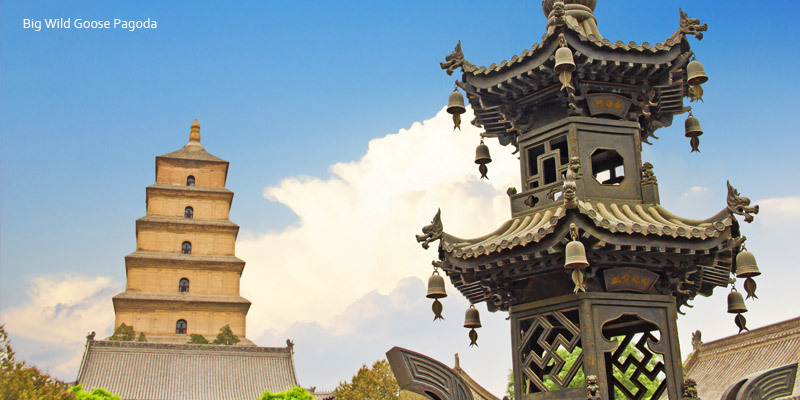 Today you&apos;ll discover the most highlights of Xi&apos;an! 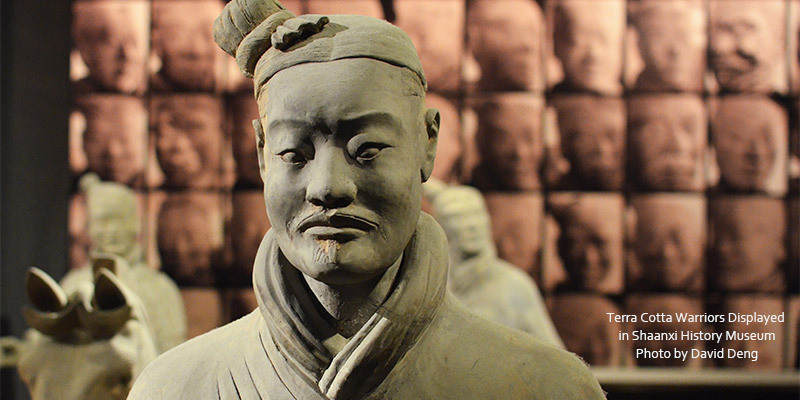 Xi&apos;an has more than Terra Cotta Warriors! In this day, you&apos;ll visit the Han Yang Ling Mausoleum where the emperor Jingdi of Han Dynasty and his empress buried with lots of valuable funeral objects. Then you&apos;ll have the chance to take a close look at the procedure of the relics restoration in their laboratory which is not opened to public. 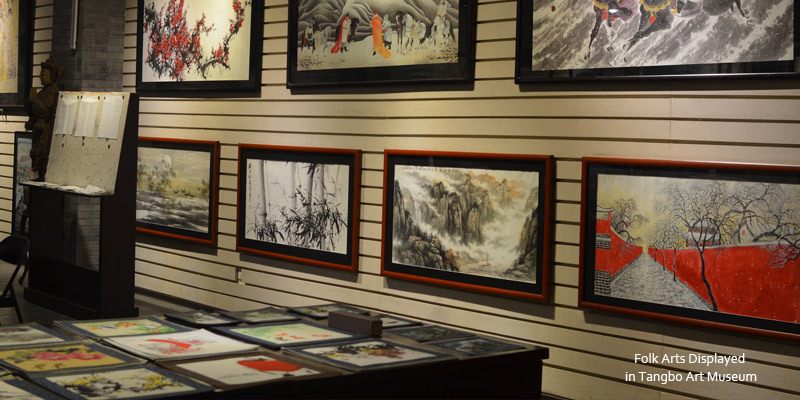 In the afternoon, you&apos;ll visit a small private museum of Tangbo Art Museum where you could see the various local arts and you&apos;ll have chance to have a Chinese calligraphy class to knows a little bit of Chinese traditional art and culture. 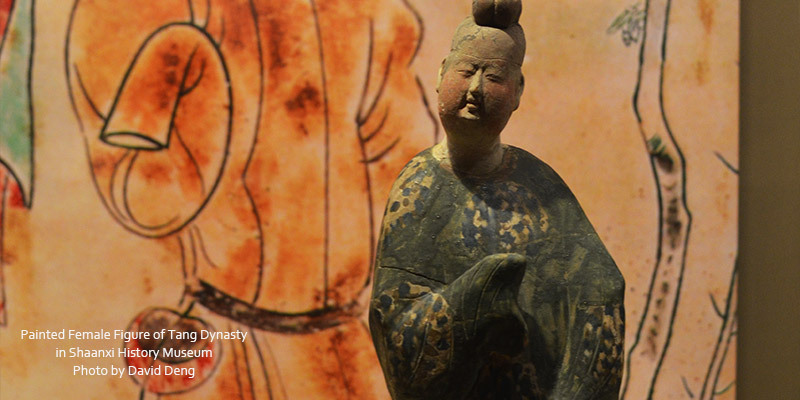 At last you&apos;ll visit the Shaanxi History Museum where contains the various treasures of ancient China. And exterior visit of the Big Wild Goose Pagoda. Please see the detailed itinerary for day 2 below. The same as your previous day, your guide will be waiting for you at your hotel lobby at the appointed time (around 7:30AM-8AM) and pick you up to our first destination: Hanyangling Mausoleum. It takes about 40 minutes to drive there. 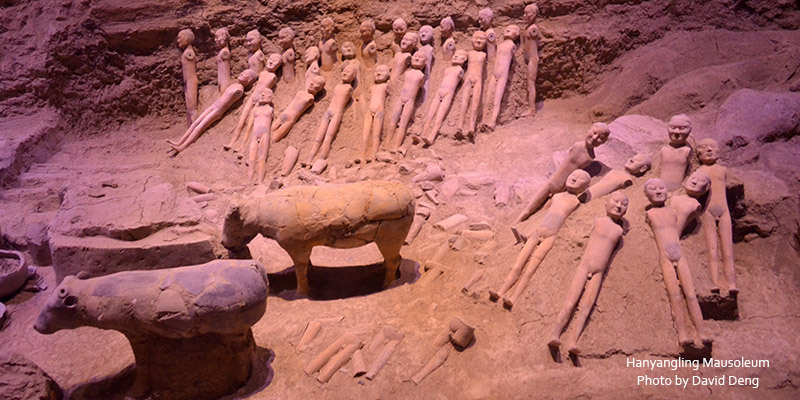 This museum has an underground exhibition hall so that people can see the results of the archeological digs in the big mausoleum complex of Emperor Jingdi (also named Liu Qi, 188 to 141 BC) of the Han Dynasty, his wife, officials, dynastic clan members, and commoners. There is also a graveyard for slaves who built the complex. The underground hall was opened in 2006. The archeological dig site only covers a small area, but the whole burial complex is immense. It covers a total area of about 10 square kilometers or 4 square miles. Next, as China Highlights&apos; VIP guest, you will be approved to enter into the restoration laboratory to take a close look at the procedure of the relics restoration. This laboratory is not opened to public. Our expert guide will introduce the basic knowledge and skills of restoration. And staffs there restore the relics in live presentation. 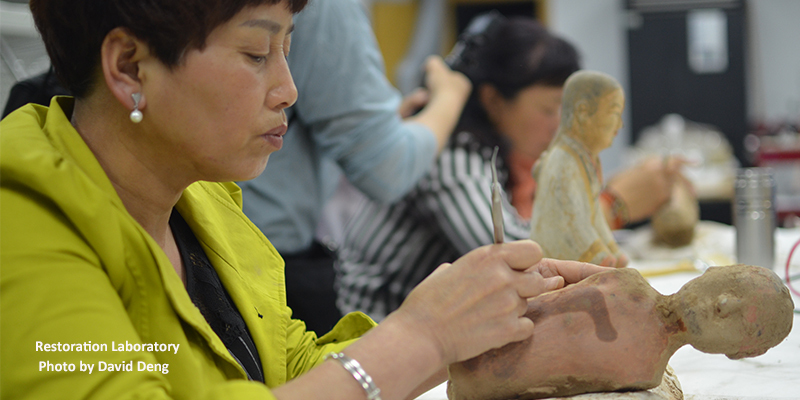 If you are an antiquary or a fan of cultural relics, feel free to communicate with these holy restorers. 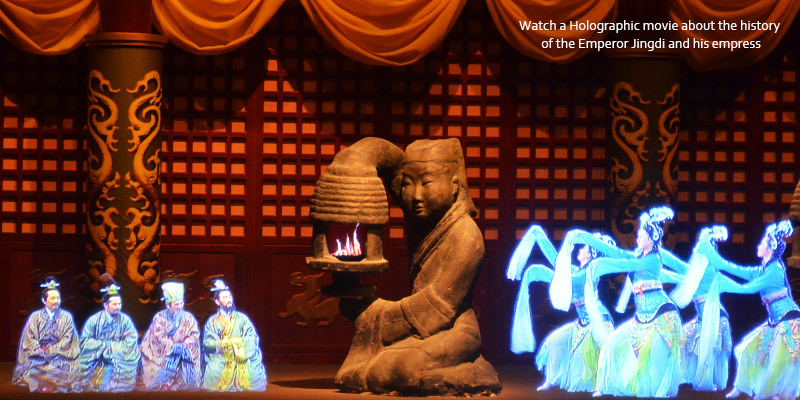 You will have chance to watch a Holographic movie about the history of the Emperor Jingdi and his empress. Usually it is Chinese version and it would be difficult to understand for English-speaking visitors. As our VIP guests, we will negotiate with the museum manager for an English version movie for you. We will have our lunch at a selected local restaurant. 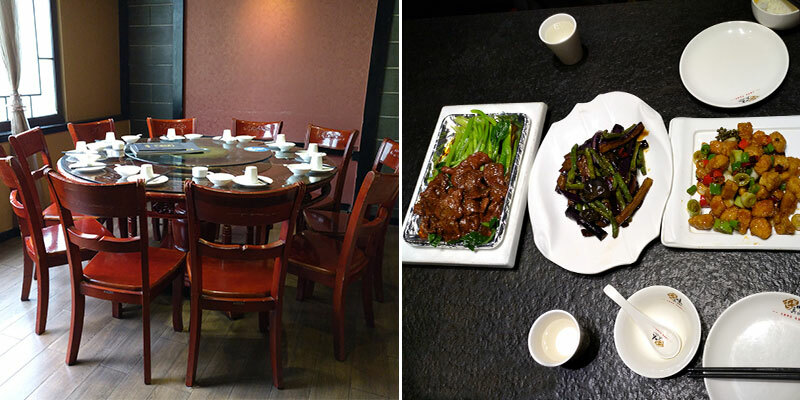 You will have chance to taste the most featured Shaanxi local food. After lunch, we will visit a very small but featured private art museum called Tangbo Art Museum which possesses a collection of Shaanxi folk arts and representative ancient paintings exhibited in historical sequence. 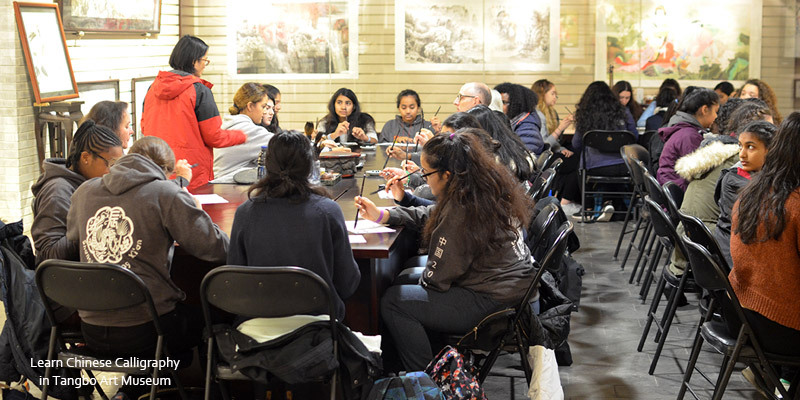 Here you&apos;ll have chance to learn Chinese Calligraphy, Chinese Tea Ceremony or Chinese Paper-cutting hand by hand which I believe it would defiantly be a highlight of the day. Tangbo Art Museum really is a shop as well. 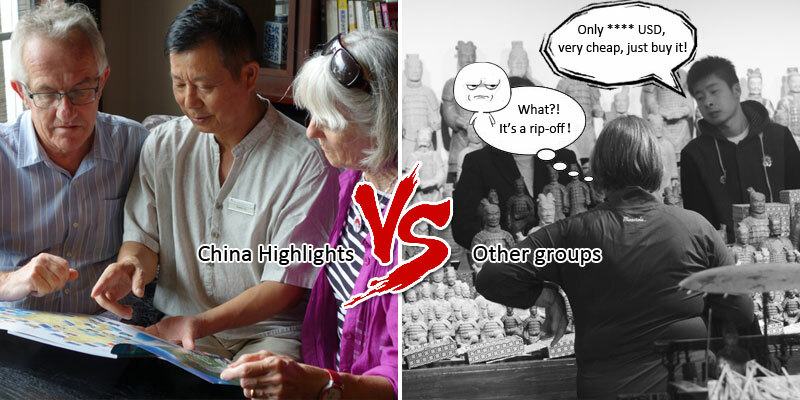 China Highlights doesn&apos;t recommend any shops to our customers. But why we still arrange to visit this site? Our product experts have experienced and found this museum is much more interesting than just being considered as a shop. 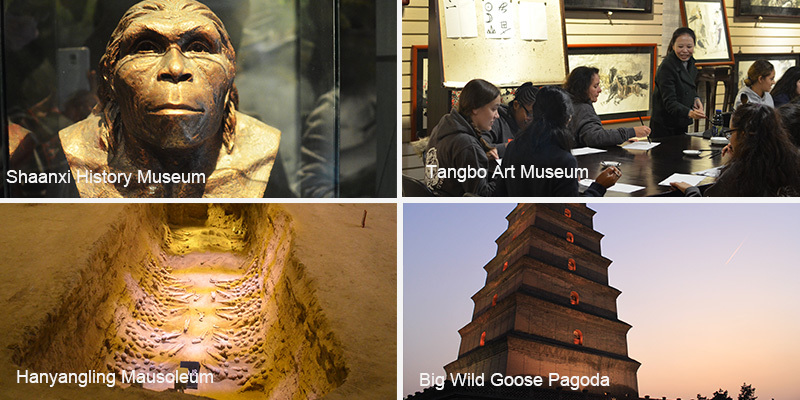 As a museum of Shaanxi folk arts and ancient Chinese art, it has a TripAdvisor ranking of #4 things to do in Xi&apos;an. You can experience Chinese traditional culture in good interaction here. But have to say, the risk of shopping still exist. Because the staffs there will sell their calligraphy and painting consciously. You can buy nothing. 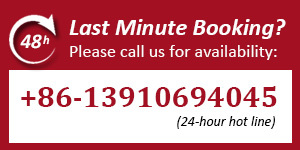 But if you feel any shopping pressure, please contact us and we will negotiate with the museum for you. 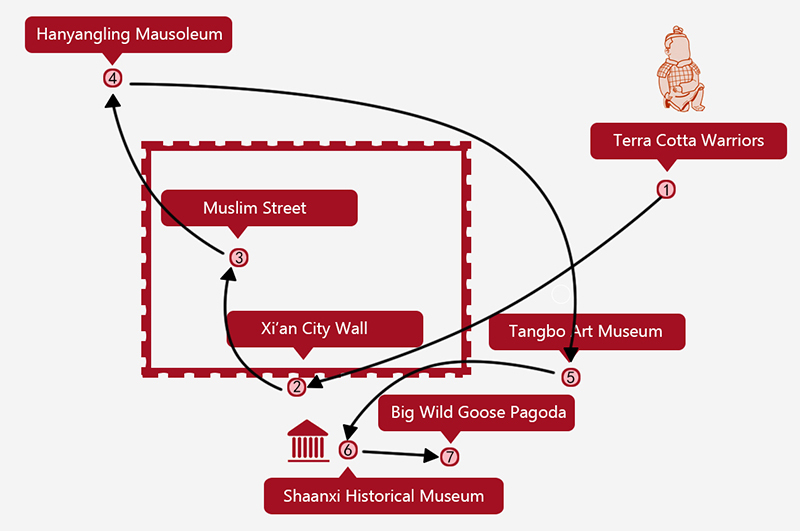 At last, we will visit another highlight of the day: Shaanxi History Museum. As Shaanxi is a very important area in both ancient and modern China and it had been the capital place of more than 13 dynasties. Therefore the local culture and arts of Shaanxi would be a window or a typical representative of traditional Chinese culture and art. And in this museum it has exhibited more than 370,000 historical relics which has vividly displayed the traditional culture and arts of ancient China from Neolithic Period to modern society and is the first large-scale modern museum in China. We have booked your tickets on-line in advance so that you don&apos;t have to queue (usually people have to queue for more than half an hour) for the limited free tickets. Your guide will show you the most valuable exhibits and the history behind those exhibits. Your guide would be very willing and open to answer your questions about the exhibits. It would be less crowded in the afternoon. In order to maximum your travel experiences, we have prepared a FM headset to escape from the noise so that you can hear your guide clearly. Afterwards, you will be transferred to the south square of the Big Wild Goose Pagoda. The 9-floor Buddhism Tower along with a temple called Temple of Great Maternal Grace was built by the Emperor Li Zhi of Tang Dynasty to memorize his mother Empress Wende. After the temple was built, Li Zhi invited the famous Monk Xuan Zang (known as Tang Monk in the famous book of The Journey to the West) as the honored master here in the temple. Master Xuan Zang lived here and had brought lots of Buddhism sutras from India. 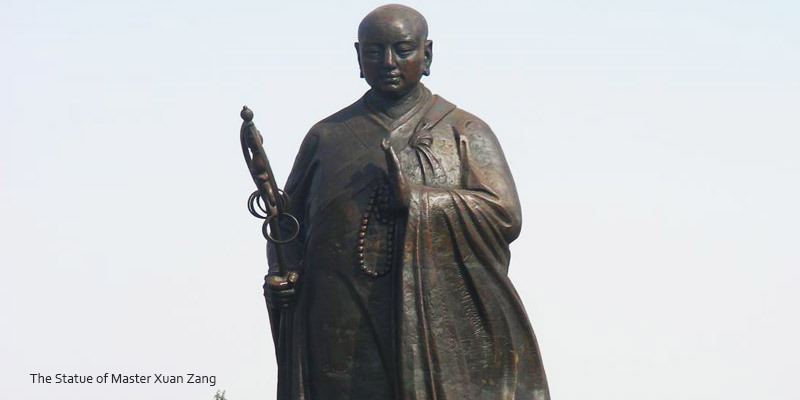 He translated the Buddhism text here and had brought the religion of Buddhism from India to China. Here you can take a picture with the statue of Master Xuan Zang. Your guide and driver will transfer you back to the hotel, making a perfect end to your Xi&apos;an panoramic tour with China Highlights. Bike or e-bike rental on the City Wall. Gratuities to the tour guide & driver (usually CNY 60 - 100 per person per day for each of them, please tip them separately.). It is not compulsory but would be a great encouragement for them. The hotel pick-up and drop-off area should be within the third ring road of Xi&apos;an. For further distance there might be an extra cost for the transfer which you&apos;ll be notified by your travel advisor. We offer a deeper exploration into the culture and history and a better experience. 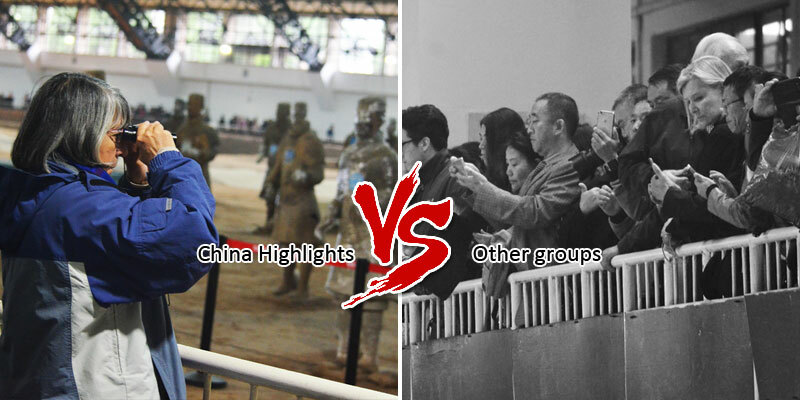 We have prepared FM headsets and telescopes for our customers to make sure you can hear and watch clearly in the terracotta warriors while other groups are struggling and get lost in the crowds. 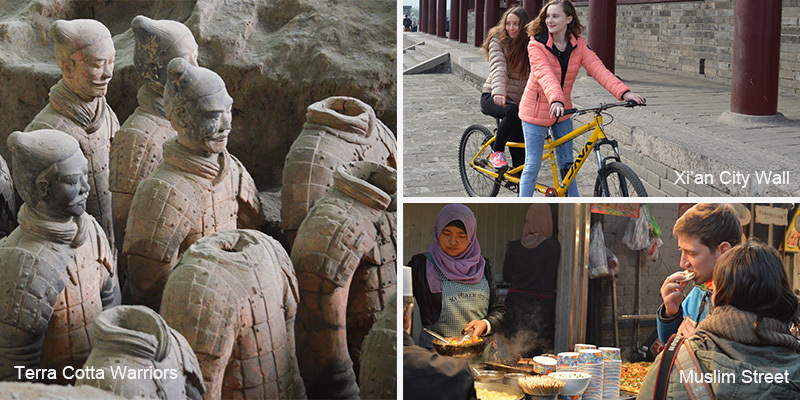 Experience the real local life and culture of Xi&apos;an people. You will taste the local food and culture in a local way while other groups have to go to the tourist restaurant and eat the food just for tourists. There are no shop stops, no long lines and waits, and no time-wasting activities. We never take our customers to the tourist shops while other groups have to waste their time and money on the over-priced souvenirs.